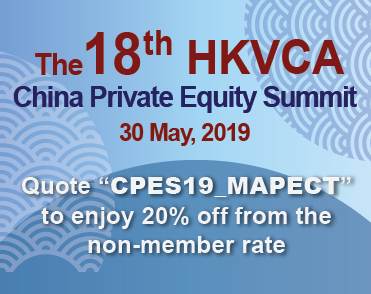 The Singapore Venture Capital & Private Equity Association’s 3rd edition of its bi-annual Southeast Asia PE/VC Conference promises an engaging full day programme featuring more than 30 distinguished speakers including LPs, GPs and entrepreneurs from the region. Exclusive Early Bird ends 2 April 2018. Click HERE to register today! *MAPECT members can enjoy supporting organization discount rate. Please quote “SVCA5a7bafdf7533a” for enjoying the discount.